Celebrating its tenth season in 2015-2016, Shumayela, a choir for treble and changing voices in the Kokopelli Choir Association, continues to expand its horizons, develop its membership and satisfy a variety of musical tastes. 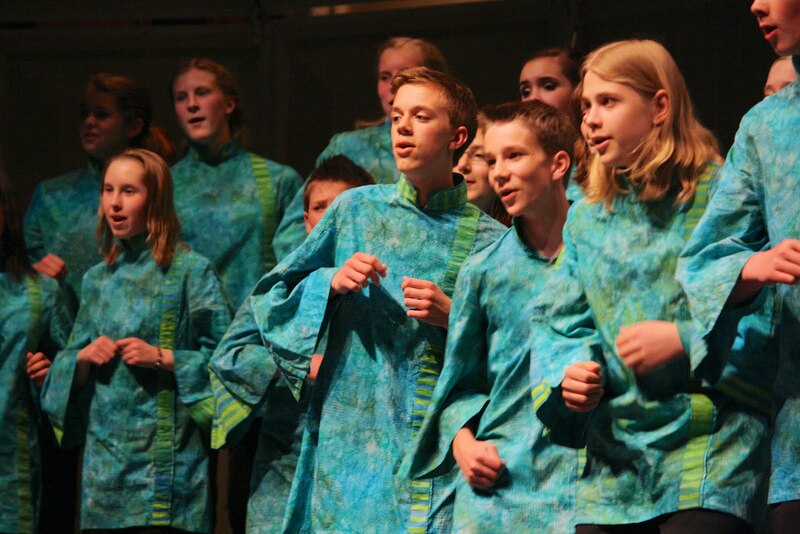 The choir has toured throughout British Columbia and Alberta, performed in Ottawa at the Unisong festival for Canada Day, and in July 2013 the group was featured at the prestigious international Festival 500 in St. John’s, Newfoundland. Wherever the choir travels, they spread the joy of music-making and hope to bring communities together through song. Shumayela offers a focus on thorough and excellent music education, with singers learning about healthy vocal production, the body-voice connection, and vibrant performance presence as well as a strong emphasis on musical literacy, music theory, and sight singing skills. 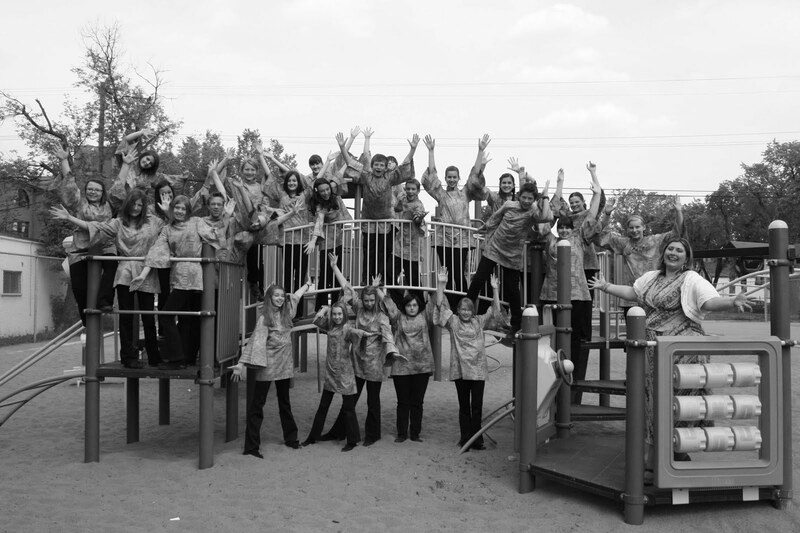 As with all of the ensembles in the Kokopelli Choir Association, Shumayela provides a secure and accepting social environment where all singers feel their importance as members of the group. Most importantly, Shumayela has fun and creates energetic and engaging music! What do you feel makes the Shumayela unique from other choirs? Shumayela is unique for so many reasons!! We’re a choir exclusively for junior-high aged youth (early teens) and as such, we honour all that comes with that age – changing personalities, voices and bodies – and we work with the changes to provide a space where choristers can feel brave to experiment, learn and grow. One of the things I love most about Shumayela is the energy and enthusiasm they bring to the music as well as their desire to create something unique in every piece. They are a group of singers that look for the interesting, unique and colourful moments in the music we sing, as well as in each other. You have been working with Shumayela for a decade now, what are some of the highlights you have had with the Shumayela? I started Shumayela 10 years ago (I can’t believe it’s already been that long!) and we’ve seen many wonderful things during that time – how to choose! Our concert at Festival 500 in Newfoundland was definitely a highlight – the singers sang so energetically and looked so alive on stage; they made me very proud. At Unisong in 2011, the choir that was supposed to go on before us and sing a concert in the Rotunda at the Parliament Buildings was late and so they sent us on. We did our entire set and then got the cue to continue to stretch the time because the other choir still had not arrived so I turned to the singers and asked what they wanted to sing. We proceeded to have an epic choir request concert for the next 45 minutes! I also loved the concert we sang on a Community Service Tour we did in Edmonton – we sang for over supper at Hope Mission. There was a very agitated man who sat down in front of the choir and as we sang, he gradually calmed and by the end of the meal, he was still, relaxed and looked much more peaceful. I think that was one of the moments when the singers realized they could make a difference doing something they love to make the world a better place. On that same tour, I took the choir to a number of seniors’ residences. We were singing a piece where the choir was to go out into the audience and find someone to dance with. I’ll never forget the image of one of my 14 year old boys offering his hand to a woman who leapt up out of her chair and proceeded to teach him how to tango. In the past you described the challenges of programming because you can never be sure where the vocal development of your preteens entering puberty end up by the performance date, where do you begin when you start building a programme list coming to Podium? I look for repertoire that is super flexible, where it won't matter if a few voices end up singing down the octave. Or I look for alto parts that sit a little lower. I also tend to gravitate toward world music selections as these can be quite flexible, or I hunt for things with percussion parts so that if I want to do something with only my treble voices, I can always come up with an interesting percussion part for the boys to play. I also leave myself pretty open in my program proposal so that I don't end up having to do repertoire that just won't work for their voices any given year. I've also become pretty adept at adapting pieces so that they will work for us, and between my accompanist, Tova Olson and I, we can usually arrange something that will work if we find a great melody or text and this can happen relatively close to the performance. What inspires you when you are working with youth singers? I love their energy and their creativity and their enthusiasm for discovery. They want to create something meaningful and distinct to them. Their faces are priceless when a challenging piece starts to take shape and they realize it's actually "cool." I also like that they don't realize a piece is hard unless I tell them it is (usually after we've learned it). They don't have blocks when it comes to trying something new, they just want to try! I also love the random moments when I overhear funny conversations between the choristers - the one that comes to mind most recently was when we were learning Nick Page's Bashana Haba'ah for Christmas. It's a piece based in the Jewish tradition and includes a fantastic Klezmer clarinet part. One of my young men turned to his buddy and said, "I love this piece! It's so Israeli-ish" to which, his buddy responded, "Dude, the word is Hindu." Never a dull a moment. When you are looking to program a work for your choir, what are the considerations you keep in mind? I look for writers who are able to write flexible pieces, especially if I'm asking them to create something before I hear the choir's level any given year. I also look for interesting and fun texts and I always want great rhythms and melodies that allow me to teach musicality. I also look for composers who are able to write pieces with character - my teens love to play characters (some of them try on different personalities every week!) and so I seek out music that allows them to express their personality. What aspects of repertoire do you consider when you preparing to introduce a new work to present to your choir? I look at the elements of the piece to determine what the teaching points will be - are there tricky intervals or a recurring interval? Are there rhythms or time signatures we need to break down into their component parts? What does the text tell us? What is the historical or cultural significance of the piece or the style? Are there interesting features we're going to add later like movement, dance, boomwhackers, other instruments, props, etc.? Can I use this piece to practice sight singing? Is it written in traditional harmonic patterns based on thirds or does it use quartal harmony? If the piece is polyphonic, what are the main recurring themes? Does the piece break down into easily memorizable sections? Can I introduce or reinforce standard choral singer rehearsal practices like finding your note from other parts, how singers mark their scores so that they remember corrections, etc? Can I reinforce their sense of rhythm, time and beat? Does this piece offer us the opportunity to learn about another language or culture? Is there an opportunity for a singer in the choir who speaks French, Spanish, Hebrew, Norwegian, etc to help in the teaching and assume a leadership role in the choir? So many things!! What are the challenges when you are looking at repertoire to program for Shumayela? I think the biggest challenges I have when programming repertoire is dependant upon the concert theme. The Kokopelli Choir Association often has a thematically based concert (Celtic, Broadway, African, Light, Spring, Colours, etc) and sometimes, the theme doesn't always come with a lot of well-written SAB, SSAB, SAC, SSAC music. Generally speaking however, if there's a song that I find that fits our theme and has a great melody and text to work with, it can be arranged into something that works for the choir. I also find it challenging to do works pre-1900 - these sometimes aren't as flexible, or the alto lines are too low and often the arrangements aren't that great. I've had some success with Gregorian chant and pieces that use a cantus firmus however so there's always a way out of every programming dilemma. You have multiple roles such as voice teacher, singer, conductor explain what drew you to choral music? I kind of fell into it by accident!! I discovered how great choral music could be in university. I grew up in a small town and while the children's choir in the church was great, I didn't get a lot of exposure to the traditional choral canon and had no idea how amazing it was to sing works like Handel's Messiah! What a discovery! While in university, I started directing a church choir as a part-time job and then kept finding choirs to direct everywhere I ended up and by virtue of being willing to take on leadership, I ended up directing choirs. I decided to audition at UofA on a whim for the choral conducting program and ended up getting in and the next thing I knew, I was a choir director! 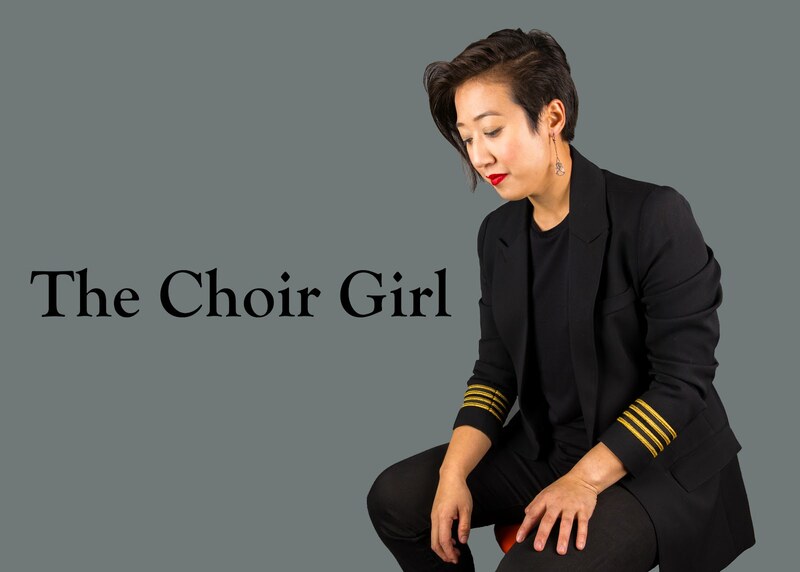 I continued singing, landed in Pro Coro Canada, and kept taking courses on directing, singing technique, rehearsal technique, went to workshops and conferences like Music Conference Alberta and Podium and now I can't imagine not directing choirs. 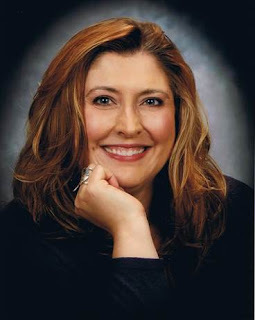 Kimberley Denis, M.Mus. Choral Conducting and Vocal Performance (University of Alberta, 2007), B.Mus. (Mount Allison University, 2003), B. Comm. (Mount Allison University, 2003) is known for her energy and enthusiasm both on stage and off, and is sought after as a soloist, choral clinician, and adjudicator for voice and choir. Upon completion of both her commerce and music undergraduate degrees at Mount Allison University in New Brunswick, she returned to her home province of Alberta where she completed a double masters degree in choral conducting and vocal performance at the University of Alberta. She also holds an associate diploma in Education (1996) and a music diploma in contemporary vocal performance from Red Deer College (1997). Vocal credits include a nomination for 2010 and 2012 Lieutenant Governor of Alberta Emerging Artist Award, recital appearances around the province, and a year-long tour with Up With People. In 2015, she starred in a production of Jason Robert Brown's song cycle Songs for a New World and in 2014, played Cathy in The Last Five Years; both productions were held at the historic Bailey Theatre in Camrose, AB. She has worked with Live Bait Theatre in New Brunswick, appearing in many of their musical dinner theatres, and has also played Bonnie in Anything Goes, Kate in Kiss Me, Kate!, and Frumah Sarah in Fiddler on the Roof. She recorded the Alphabet Action Songs for Themes and Variations Music Publishing, and was a soprano soloist for the University of Alberta’s recording of the Dvorak Te Deum. She recently completed a concert tour with world percussion duo, Jamani and will be starring in the Western Canada premiere of a new musical by Canadian playwright, GaRRy Williams this summer. She is a singer with Pro Coro Canada, as well as with the Canadian Chamber Choir. In addition to her stage work, she has a flourishing voice studio at MacEwan University Conservatory of Music and is also the Music Advisor to the School of Continuing Education for MacEwan University in Edmonton, Alberta. She has conducted a wide variety of ensembles and has previously worked with the Red Deer College Chamber Choir, the Nota Bene Youth Choir in Red Deer, the Red Deer Children’s Choir, the Mount Royal University Youth Choir, the Edmonton All-City Junior Children’s Choir and the Edmonton All-City High School Choir. Presently, she directs Shumayela with the Kokopelli Choir Association in Edmonton, a choir which she founded in 2006; the choir has performed at Festival 500, an international choral festival held in St. John’s, NF and will be a featured ensemble this spring at the Podium national choral conference. She has been the choir director for the past seven years at MusiCamp Alberta held at Red Deer College, has been the youth choir director at the Naramata Summer Music Week, and in 2011-2012 season, she directed the Kamloops/Thompson School District Honour Choir as well as the Edmonton Public Schools High School Honour Choir. She is also an experienced director of church music, having begun work in this area in 2000 at Mountain View United Church in Moncton, New Brunswick. Since then, she has worked for a number of different denominations, and most recently, is the music director at Holy Spirit Lutheran Church in Edmonton, Alberta. Music for theatre credits include music direction for Concordia University College's 2013 production of Joseph and the Amazing Technicolor Dreamcoat, vocal coaching for Red Deer College’s 2011 production of Rent, creating and directing a live vocal music score for Red Deer College's production of Romeo and Juliet and creating and directing a live music score for the world premiere of Vern Thiessen's adaptation of Wuthering Heights. She was also the music director at Theatre Alberta's Artstrek summer program for Into the Woods and is a frequent clinician for community theatre groups. In addition to her work as a singer and conductor, Kimberley arranges pieces for choirs and is published by Cypress Music and Augsburg Fortress and was recently commissioned for an arrangement of the school song for the The Grange, a private, English-speaking school in Santiago, Chile.